Yamaha keyboards are too nice to bash around -- you need the ultimate keyboard bag to carry it from home, to rehearsal, to the show. 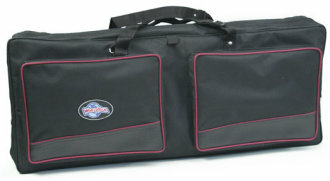 You can do that with the World Tour Deluxe Keyboard Gig Bags for Yamaha. 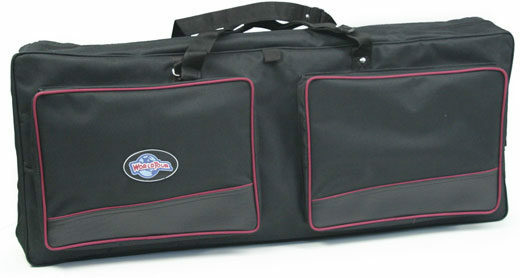 Each bag has been specifically designed to fit various Yamaha keyboard models. With this bag's adjustable strap, you will be able to take your Yamaha keyboard with you safely to every gig or lesson you have. The two zippered pouches in the front will be perfect for carrying everything from your music books to your power supplies and cables. 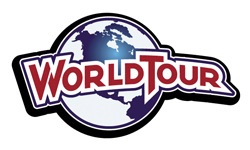 If you want a Yamaha Keyboard Bag, but don't see the size you need, check out all the World Tour Deluxe Keyboard Gig Bags -- Assorted Sizes -- you're sure to find one that fits! Available until 11 PM (EST) today. Mention special code 20W-B7CM when you call.